Morrissey's latest album arrived with Low in High School, but he'll be putting out a deluxe version of the record later this year. Ahead of its arrival, he's unveiled a new video for "Back on the Chain Gang." Moz has been playing the Pretenders song live for years now, but a recorded version will finally be available on the deluxe version of Low in High School. 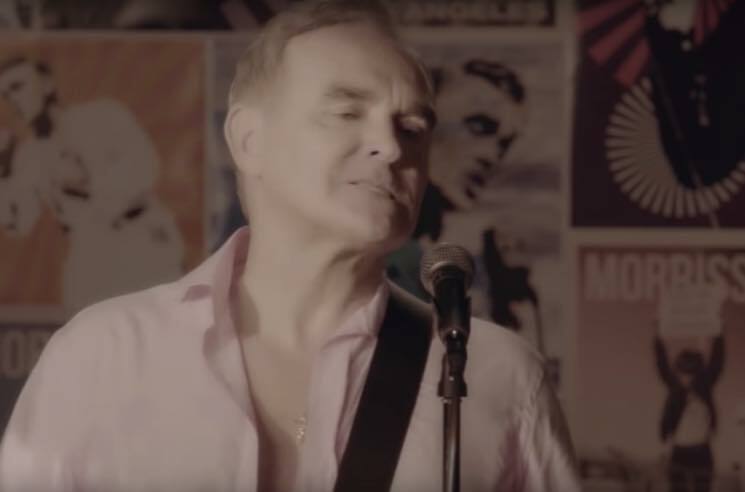 The accompanying video sees Morrissey fronting his band and performing in a retro Top of the Pops-esque TV studio — decorated entirely with Morrissey posters. Watch the video for "Back on the Chain Gang" below. The deluxe version of Low in High School is due out December 7.